Direct mailers can take Informed Delivery a step further by adding an ad that links to a web page as well as replacing the black and white image with a color image – creating an integrated digital and mail campaign. The color image will stand out in a consumer’s Informed Delivery email, giving them a sneak peak of the mail piece that will soon be delivered in their mailbox. They can also click on the link in the ad and respond immediately to the offer via the web page. When the mail piece is delivered, it reinforces the offer and provides a second opportunity for the recipient to respond. Enhances the effectiveness of a direct mail piece by adding a digital touch before the arrival of the mail. 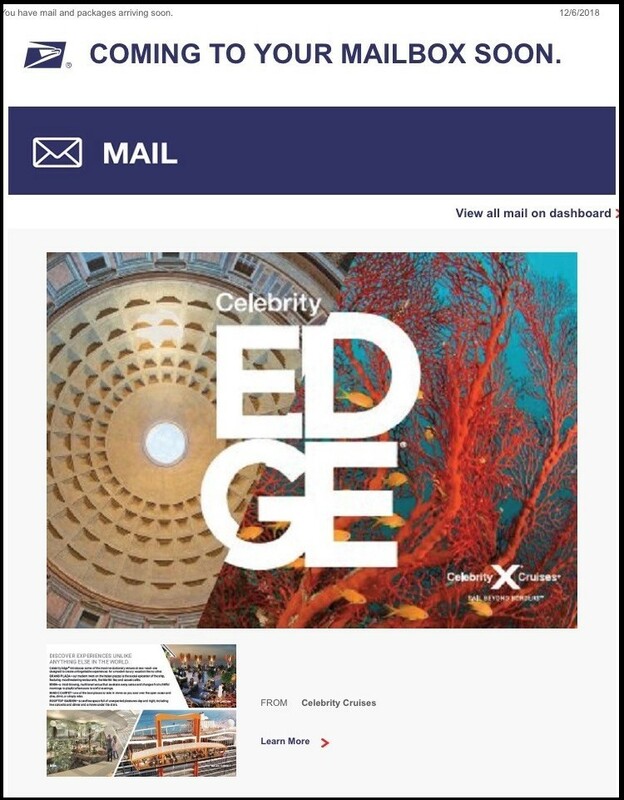 Creates an integrated digital campaign by adding the images of the direct mail piece and link to respond via a web page. Informed Delivery emails have a high open rate – twice that of industry averages. Marketers can reach consumers digitally with just a physical mailing address. All Informed Delivery users in a household will see the direct mail piece. The image of the mail piece in an email, mobile app or on the dashboard enforces the offer and call to action. 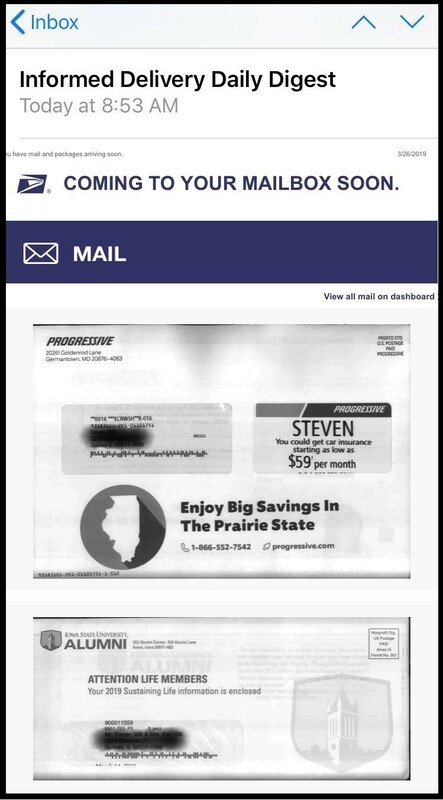 Example above of an Interactive Campaign with a color image of mail piece and ad that contains a link to a web page. Currently the USPS does not charge a fee for mailers to conduct an interactive campaign. Also Informed Delivery is one of the USPS Promotions in 2019. September 1 through November 30, mailings with an approved interactive campaign will receive a 2% discount on postage. A downside is that the number of households receiving the emails is low. At the end of March 2019 approximately 16% of households in the U.S. were signed up for Informed Delivery. The challenge for the USPS is getting consumers to enroll in the program. The USPS does provide a file of user and household quantities by state and zip3 codes that can be used by mailers to get some idea of the number of consumers in specific areas who participate in Informed Delivery. Currently an Interactive Campaign is free at the USPS, and costs to provide a color image of the mail piece and a webpage for Informed Delivery responses are typically low. Combined with a 2% postage discount by using the USPS Promotion, now may be the time to plan a test of Informed Delivery. Look for more specifics on creating an Informed Delivery Interactive Campaign in J&Q’s next blog coming soon. If you have questions or need more information now on an Informed Delivery Interactive Campaign, contact us at 847.588.4800 or jqinfo@j-quin.com and ask for Sales. You can also learn more on the USPS site at https://www.usps.com/business/informed-delivery.htm. This entry was posted in Direct Mail, Informed Delivery, USPS and tagged Direct Mail, Informed Delivery Interactive Campaign, Postage, Postal Rates, USPS. Bookmark the permalink.